Stortz Perfect Benders - Stortz & Son Inc. Most benders on the market start to create unsightly scratches on metal when they turn up to 90°. This is because the bearings start to rub against the metal. 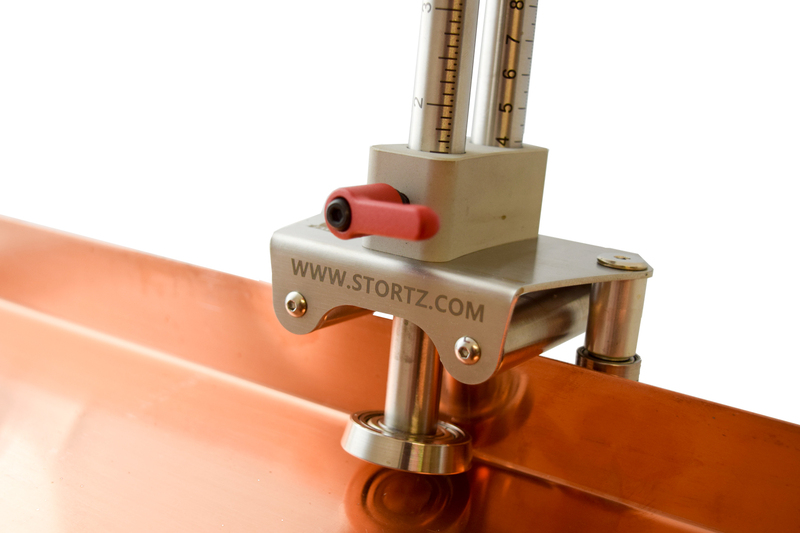 Stortz benders provide clean bends past 90° without making marks on the material because the bearing is offset. Other advantages are scribed marks in imperial and metric system, control of the bearing spacing for various gauge metals, and stainless steel construction. The products come complete with a heavy duty Stortz Canvas bag that can be used for a convenient carrying case for any other tools you may have as well.